While Adventure Education in higher education can trace its roots back to the 1860’s, foundations for the LSU UREC Adventure Education program were established in 1992. In 2006, UREC purchased its first set of rental bikes through a partnership with Student Government. 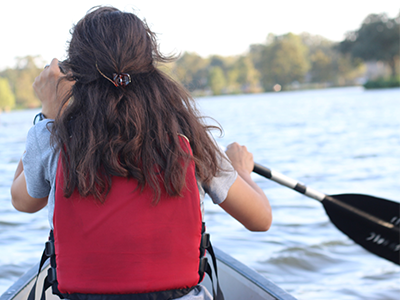 In the Spring semester of 2012, UREC Adventure Education began taking students on adventure-based overnight trips, educating students on canoeing, kayaking, climbing, and backpacking. In 2016 and 2017, the Adventure Education Center and Climbing Area opened to expand the program opportunities for students. The Adventure Education Center is located by the East Entrance and houses space for students to plan trips around the great state of Louisiana or study for class. It is also the central spot where the community would go to rent gear for their own outdoor adventures. Adventure Education offers trips and clinics that allow students to have a guided adventure throughout the Southeast. Trips may be a day trip or an overnight camping trip. 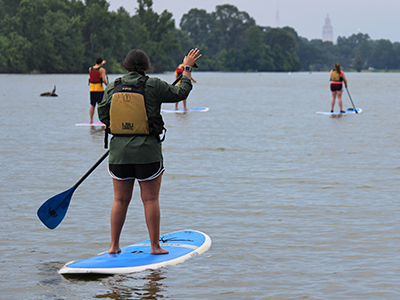 Free clinics teach participants the basic skills of paddling on a canoe, stand-up paddleboard, or kayak. These trips and clinics vary each semester, but are always a great way to escape and learn something new. 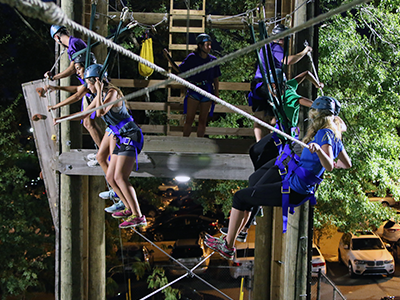 The Challenge Course, located across the street from the UREC main entrance, is available for groups to rent or individuals to come climb during Open Challenge Course Night. It opened in 2013 to enhance the Challenge Program experience. It is called a Challenge Course for a reason, and everyone soon finds out that a challenge is actually a really great time. The Climbing Area houses a 35-foot climbing wall and a 1,500 square foot bouldering area. All shoes and harness can be checked-out free of charge. No climbing experience is necessary and staff is always there to help. There are clinics scheduled throughout the semester to help climbers of all levels become more acquainted with the climbing area. Break out of the bubble and explore all the different options the UREC Adventure Education program offers.